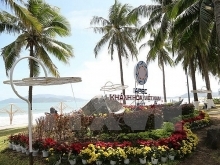 This was remarked in a joint statement issued on November 11 morning following the TPP Ministerial Meeting which took place within the framework of the APEC Economic Leaders’ Week in the central city of Da Nang on November 9-10, said Vietnamese Minister of Industry and Trade Tran Tuan Anh. Anh said at a press conference on November 11 that the 11 countries consented to push ahead with the trade pact without the United States which decided to abandon the deal. The ministers agreed not to make amendments to the original text but freeze the implementation of some clauses to ensure balance and the quality of the document in the new context. They said the CPTPP is a comprehensive and high-standard agreement on the basis of balancing interests of its member countries, with regard to their development levels. Based on the statement, the ministers assigned chief negotiators to continue to work on contentious technical issues and conduct legal reviews in preparation for the signing of the pact, Anh said. 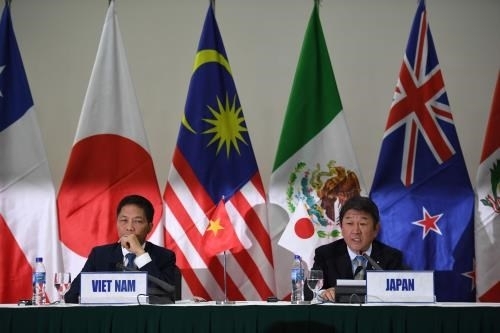 The outcomes of the meeting demonstrate great efforts made by the 11 TPP countries to spur economic development, generate jobs, improve people’s living standards, facilitate trade development, enhance regional economic ties and integrate into the world.